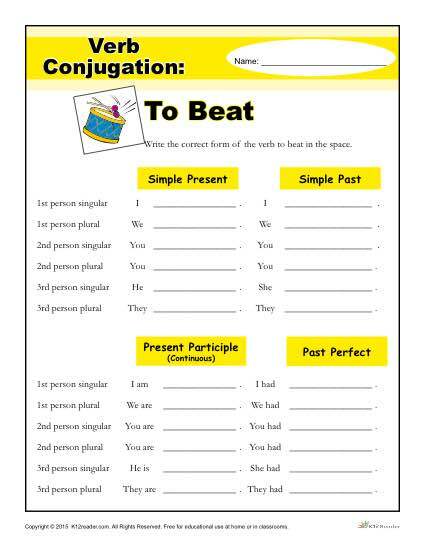 In this activity, students will learn the proper way to conjugate “to beat”. The activity is geared toward students in 2nd through 5th grades and satisfies specific language common core standards. Students learn the correct usage for singluar, plural, 1st, 2nd and 3rd person.